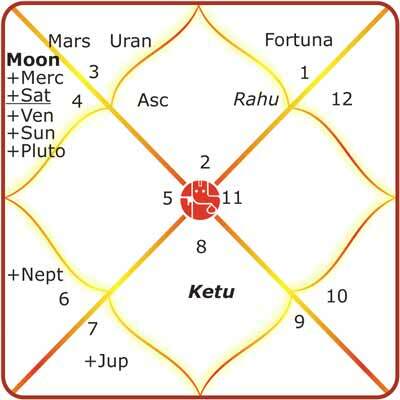 In India's foundation chart, Moon-Mars Dasha period will be in influence till 8th February, 2017. Then Rahu Bhukti will rule the entire year. So, there will be tremendous activities, which will boost Infrastructure, roads, railway, ports, communication and transportation. India will witness an era of Internet and communication revolution throughout the Moon Mahadasha. The transiting Jupiter will be passing through the 5th House, which may bring positivity and enthusiasm, but at the same time the government will be tested to fulfill the sky high expectations. Government may face stiff resistance and challenges from the opposition political parties and also some religious groups may try to embarrass the government. 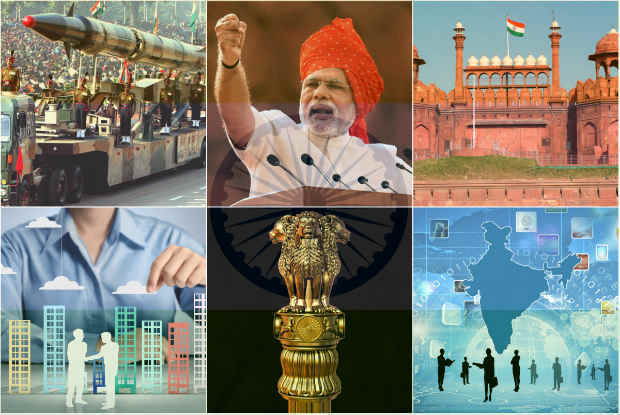 The transiting Jupiter in Virgo and in Libra, during the latter half, indicates less government intervention in most areas of business and progressive policies for Indian entrepreneurs to boost growth. There will be more job opportunities for the Indian youth. It also indicates some radical or noteworthy changes in government's educational and sports policies. The government may have zero tolerance towards terrorism and extremism but espionage and conspiracy by foreign elements will continue to disrupt the law and order situations in India. The government will also empower the Indian defense forces. But, there will be problems in border states and the government will have to face problems in issues related to migrants and intruders. The religious and sensitive issues may resurface during the latter half of year and may cause some unrest in the country. India will be the target of terrorist activities from neighboring countries, as in previous years. It will also raise concerns for the safety of top political leaders, high-rank spiritual leaders, top officials of the courts and embassies. However, transiting Jupiter will also help India strengthen its position in global politics. Border tensions with neighboring countries will also remain a cause of concern, specifically between 17th August, 2017, till the end of the year due to adverse transit of Rahu. India will take some bold steps to establish its authority in South Asia. India will strengthen its position in global politics. India will initiate dialogue with developed countries for more robust and substantial partnerships. Some important strategic agreements with foreign countries and alliances are expected during the year 2017. China-Pakistan axis may force India to take bold steps related to foreign affairs policies. India's relations with Pakistan and China will remain tense and conflicting. India and USA will work for substantial strategic partnership. India will also emerge as major player in global politics. A radical transformation in India’s military capabilities and higher defense structure may make India's foreign policy more robust. Large reserves of minerals will be discovered in India. Government and private sectors will collaborate effectively to expedite growth amid stiff challenges – in sectors like space technology, communication, rail, public transport and information technology. Many online revolutions will take place due to transiting Rahu. However e-commerce will face challenges, not only from brick and mortar stores, but also from myriad other mushrooming e-commerce sites, and the exponential growth in the sector. Fresh initiatives will help India to move towards an agriculture revolution. Many modern farms will be started by big corporate companies, with modern farming technologies. New technologies, and the rapidly expanding telecom sector will help farmers in cutting down middle-men, and take their produce directly to the end-customer, thus increasing their own profitability. This is also likely to drastically reduce the prospect of wastage. The offshoot will be that rural India will see a remarkable improvement in standard of living. Even the urban consumers will benefit greatly, as they will then be able to purchase things at near wholesale prices. Do you want to know what the planets indicate your prospects in the year 2017? Then get the answers from the experts in the form of the hand-written 2017 Yearly Report now!